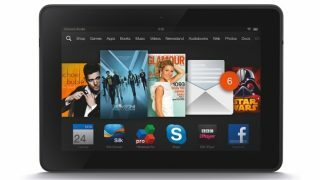 Amazon’s Kindle Fire operates similarly to other tablets: Users can access tons of content, including e-books, movies and music to downloadable games and apps. There are a few different versions of the Kindle Fire, and most models share functions and features. However, there is some variety when it comes to screen display, speed and battery life. 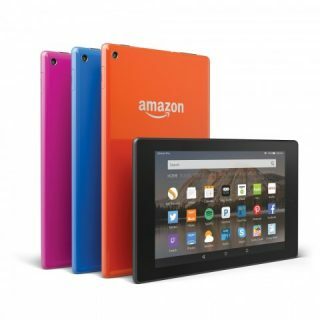 We compared the three Kindle Fire models to help you decide if one of these tablets is right for you. Price: $49.99 (8GB), $69.99 (16GB). Features: The fifth-generation Kindle Fire is an affordable tablet that can be used to read e-books, surf the internet and download apps through the Android-based Amazon Underground app store. Amazon Prime users can access their account for unlimited streaming of Prime’s music and video catalogs, though the Fire’s performance can be slower in comparison with the later Kindle Fire HD models. Users on the move can access their content once it’s downloaded into the tablet. If you want to browse the web and stream videos, the Kindle Fire must be connected to a Wi-Fi source. Amazon’s voice-assistant Alexa is also available on the 2015 Kindle Fire, which can provide news updates, play music, order goods from Amazon’s website and more. Good fit for: Tablet beginners or individuals who want an inexpensive device for reading e-books, simple web-browsing and occasional video streaming. Price: $69.99 – $89.99 (Fire HD 6); $89.99 – $119.99 (Fire HD 8), $229.99 – $289.99 (Fire HD 10). Battery life: 8 – 12 hours. Features: Similar to the original Kindle Fire, the Fire HD models support e-books, audiobooks, videos and music from Amazon Prime accounts and apps. Fire HD devices come in three different screen sizes, ranging from 6 to 10.1 inches. The bigger screens are great for watching movies, but just like the Kindle Fire, Wi-Fi is needed for any online video-streaming and web-browsing. The memory capacity also varies, with the Fire HD 6 holding the least memory (8GB) and the Fire HD 10 possessing the largest (64GB). An improved, speedy processor means downloaded content loads more quickly, and a longer battery life will keep the tablet working through most long car and plane rides. 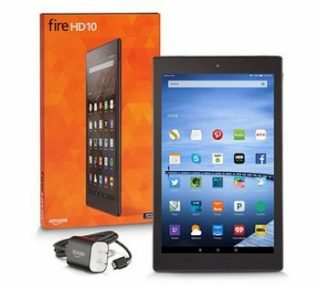 Similar to the entry-level Kindle Fire, the Fire 8 and 10 are also compatible with the Amazon voice-assistant Alexa. Good fit for: People who like to read, watch and play on their tablet, whether they’re at home or on the move. Price: $429.99 (32GB), $479.99 (64GB). Features: Kindle’s Fire HDX 8.9 is its first model with Wi-Fi and cell data connectivity (available through Verizon, AT&T and T-Mobile), so users can stay logged in when they’re on the go. The HDX display has a higher resolution that makes e-magazines and e-books appear more realistic and paperlike. The reading light is also improved and dubbed the Dynamic Light Control system. This backlight can adjust to user surroundings so your eyes strain less as you use the e-reader. As of this writing, the HDX is available with 32GB or 64GB memory storage, though you might be able to find a 16GB version through third-party sellers. Good fit for: Those who want to use the tablet when away from Wi-Fi and in various settings, including outdoors.